With 40 Gold and Platinum records to his name, legendary producer/engineer Jack Douglas has carved a legacy five decades deep in the music world. 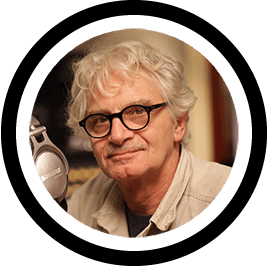 An integral component of many pivotal recordings, Douglas has worked with a wealth of extraordinary talent – from Aerosmith, Cheap Trick, and The Who, to Patti Smith, Supertramp, Blue Öyster Cult, and The New York Dolls, to name a few. Today, Jack Douglas continues to work with established and rising talent, as well as sharing his wisdom with the next generation of music producers / engineers at speaking engagements. His expertise has earned him an Emmy Award (Best Music Written For Children’s Show – ABC “Over 7” After School Special), an induction into the NAMM Technical Hall Of Fame, several Lifetime Achievement Awards (including the LA Music Hall of Fame, and The Institute of Audio Research), and an honorary doctorate from Five Towns College. With his keen ear for bringing out the best of a musician’s sound, Jack Douglas stands as a vital figure in the creation of rock’s most important music. Jack was our guest in Chicago in 2018 and his stories and images were absolutely amazing. You could hear a pin drop in the Main Ballroom! We are delighted to welcome Jack to his first ever NY METRO FEST.